Thanks for your big supports, the target amount has successfully achieved on the 12 days from the first day. 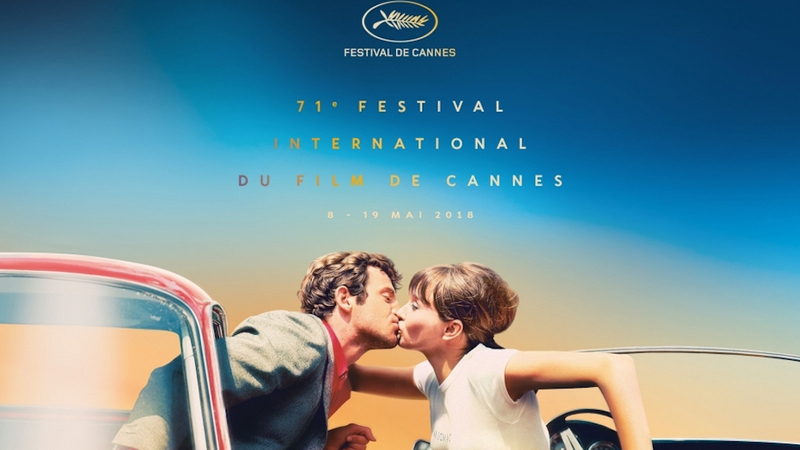 For the rest of a month, I would like to ask more supports for shooting the next short or feature films which reflects on the experience at Cannes. Please keep supporting me . This film portrays the universal theme of family about the confrontation and reconciliation between father and son. I directed, acted, produced and wrote the film by myself, recruiting the professionals in the film industry. From scratch, it took almost a year to complete the project whose process can be compared as the one for making a bottle of wine that is brewed for a long time with the greatest care. The traditional feudalistic family system is almost abandoned in Japan nowadays; nevertheless, there still exists the universal values in every generation such as emotional dependence as children towards parents or vice verse. What I wanted to describe in the film was the distortion and divisiveness generated from the relationships among families and strangers, which come from our multiple roles and faces in our societies and families such as parents, friends, and others etc. Despite the fact, I wanted to specifically portray the parental feelings towards the children and the children’s feelings towards the parents in the film. 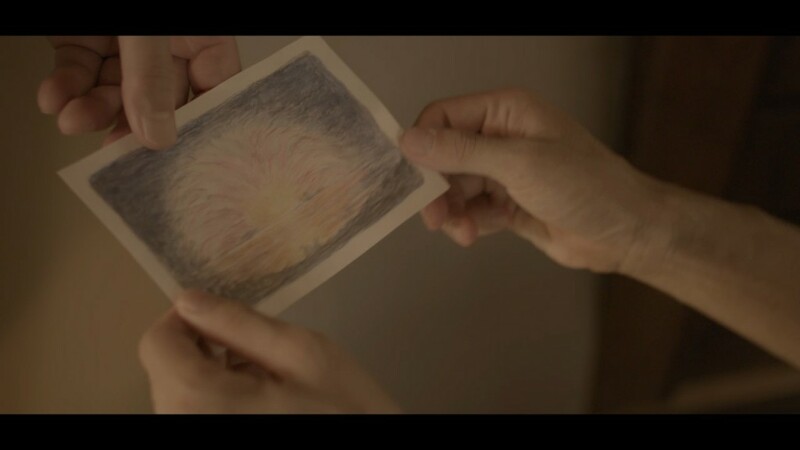 Despite glaucoma, Tetsuo spends his days on drawing pictures of fireworks after his wife passed away. One day, his only son, Yuji visits him. Tetsuo is not welcoming his repudiated son, but he hands out one of his drawings that contains the old memory of his family, watching the back of his son as someone. What is Cannes short film corner? 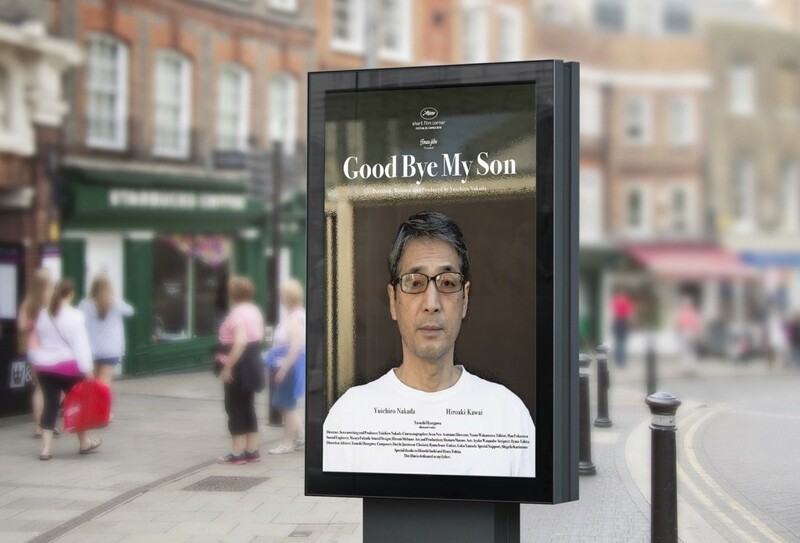 I wanted more audience to watch the film "Goodbye my son" this time, so I put the English subtitle in the film, and submitted to the short film corner at Cannes film festival. As a consequence, the film was selected among thousands of films from all over the world, and it gave the opportunity to screen the film during the festival as well as online screening. Short film corner is the one of the renowned film markets where all the professionals in film industries all over the world gather, which sets the priceless foundation for all the film makers to grow their talents to raise the future maestros by socializing with directors, actors and actresses, producers, buyers, and other film related people as well as participating various workshops. 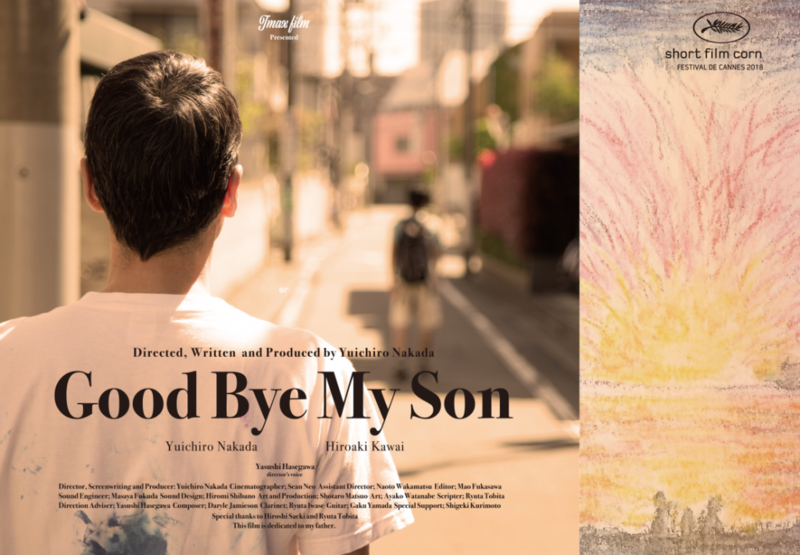 With Hiroaki Kawai, the actor for father’s role in ‘"Goodbye my son", I am going to fly to Cannes between 5/12 and 5/20 this year, which offers the solid foundation for raising the distinguished film professionals. 1 To learn direction and production methods, latest technology for shooting, and PR method in international film market. Furthermore, participate in the workshop held by maestros from all over the world and professionals in the field of movie technology. As a result, I will come back to Cannes as a feature film director later on, knowing the height of the coming hardships and obstacles to overcome for the next stage. 2 Socializing with the people from all over the world in the film industry, I will obtain the opportunity for procuring the fund not only from Japan but also from other countries. 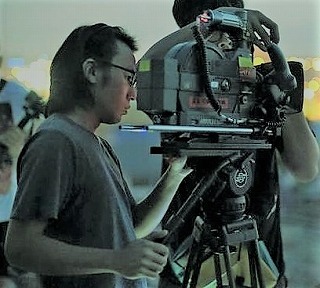 By doing so, I can set the head start foundation for raising more talented people in the film industry so that those who works in the harsh environments for making independent films and those who struggle in suppressed environments for making commercial films with extremely limited time and budget can concentrate on film making with enough time and budget. As a consequence, I am willing to distribute more content rich films quality wise not only for Japanese audience but also worldwide audience. 3 Listening and learning from the feedback about my film from all the processionals in film industry, I can learn and improve so that I can make use of the experience for shooting next film. I am going to make most out of those three points listed above for making next film by participating in the Cannes film festival. This process will become a booster rocket to move onto the second stage to be a world wide film director with greatest challenge. However, without your heart warming supports, nothing can be fulfilled. Why do I need your supports? Though participating in the workshops and socializing with professionals are free of charge, the travel expenses such as cost of staying and PR resources (posters and leaflets) are unavoidable. The key element is money. All your heart warming supports are indispensable to keep producing more films to all over the world. 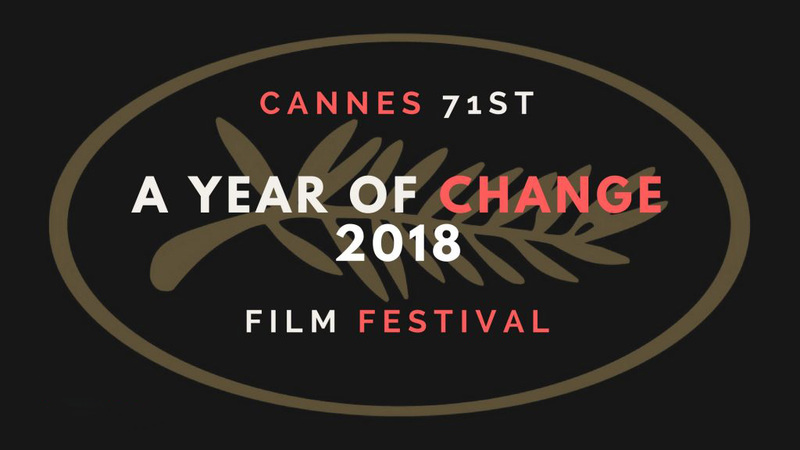 Given the opportunities such as socializing with world famous directors, learning from various workshops, and building the professional network and rapports with a world famous film directors at Cannes film festival, I, as a film director, and Kawai, as an actor will move onto one more step further , and bring hot energy into the Japanese film industry. Your supports and collaborations are absolutely necessary to achieve the goal. *Hotel is located in Antibe, an suburban area of Cannes. The commission charge for campfire 12% + clearance charge 5% ＋miscellaneous charge will be deducted , which will be about 80000yen. Therefore, the target amount is 400,000 yen. Though only the minimum goal is achieved, I can still absorb a lot of experiences at Cannes and return, becoming much bigger as a film maker. The fund from all the supporters will be allocated to travel expenses and PR fee, but I can add more rewards such as specialties around Cannes if the fund exceeds the target amount. Nice to meet you. 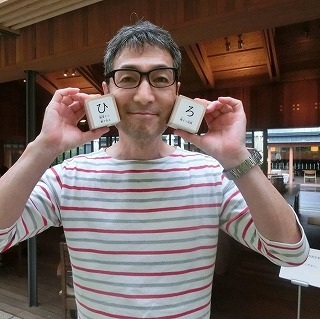 I am, Yuichiro Nakada, a director of the film. After graduating from high school, I went to a language school for a year as a newspaper student, and graduated from the University of California at Santa Barbara, majoring in Physics with the aim of becoming an astronomer. Afterwards, I majored in astrophysics at Munich University graduate school in Germany. After returning to Japan, I worked as a research assistant and engineer at the National Astronomical Observatory in Japan, JAXA, and a chemical industry, etc. In those days, I had a chance to take the script analysis workshop for movies held by a professional script analyst from Hollywood, and learned all the behind structure of movie making. Having such experience, I decided to quit the company, and took the childhood dream path to be a worldwide film director, which I felt as if I were jumping off from the cliff as a main stage in my life. After that, I participated in screenwriting workshops and independent and commercial film production sites as an assistant and studied storytelling, acting and directing in the film. Currently, I am working as a writer and a translator, and movie director for promotion video of enterprises while developing the idea of next film project and writing plans and scripts for them. Taking advantage of the unique career such as studying abroad as a physics major, I would like to deliver more unique and entertaining works to everyone as a director and an author not only by looking at the world from Japanese perspective but also by looking Japan from cosmopolitan perspective in macroscopic way. Searching for something good movie, the first thing that popped into my eyes was the casting call for the film making project. That whisper kindled the middle aged man's heart facing the retirement age. When I first read the script, I found the main part was the conversation between mother and son. So, I felt it was a piece of cake since father's dialogue was only a few lines. However, mother's part eventually disappeared while the script was revised over and over, the only character left behind the story were just father and son, which put heavy burden on my shoulder. However, when I read the script that changed one after another, I came to notice that this work is based on a true story of Mr. Nakada and his father. So, I was also trying to overlay the feeling towards my father in the film as well. The relationship between mother and daughter is quite different from the one between father and son. I got advice from the director and reviewed the relationship between various fathers and sons from various books and movies. I also tried to review the thread with my dying father. I think all those processes linked to the film. At the shooting site, I learned a lot, seeing each person make a professional movement, which is different aspect from the one for an actor. 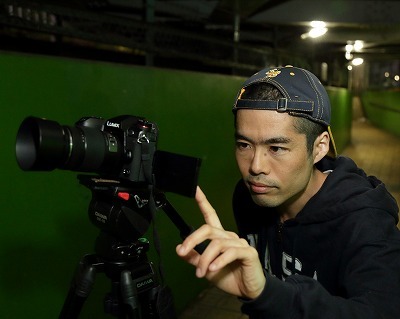 Director Nakada faced shooting with a strong will that does not bend his belief. From now on, I would like to become an actor who can accept all the thoughts of everyone who makes movies throughout the whole body. I would like to encourage audiences to act with a wide range so that the audience can see my thoughts from images. Finally, I would like to express my gratitude to my family who are always amazed and warmly watching the bohemian father. <Brief history> After graduating university as economics major, He worked for one year to save his money for travailing all over the world for three and a half years. When he returned to Japan, he got a job at a US military base where he still works as the fire brigade staff up to now. 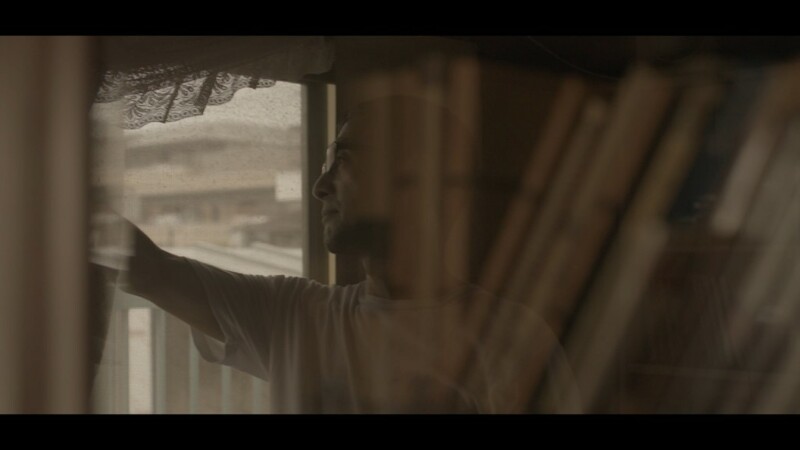 He took an acting class in 2013, and acted in some short films and tasted the unknown world. However, he realized the lack of experience as an actor, so he started to gain more experiences as an actor by participating in various workshops, musicals and the stage play . Thanks to auditions and various networks, he still continues acting in short films. He values bond and encounter. He would like to be a spicy old man who can add condiments to his work in the future. The story is about the wide emotional distance between the father and son, so my first idea was to have that aspect of the story symbolised by two instruments from different instrument families (in the end, clarinet and guitar) playing related music, but not at the same time (at least not at the beginning). The melodic fragments feel yearning, incomplete, like they’re searching for each other in a way. The musical story is not an exact parallel with the story on screen, but makes its own musical sense and, I hope, deepens the emotional impact of the film. We recorded in a small studio which is a converted pre-war storehouse. It has really thick walls, is tall and narrow, and it was very cold! I hit upon the idea of enhancing the sense of distance between the two instruments by having the clarinet (which is in any case the louder instrument) stand in the loft while the guitar was on the ground floor quite close to the microphones. We had fun experimenting a lot with different positions, but this setup gave the best balance and physical sense of the different musical/emotional spaces these instruments are in. I thought the film was restrained in tone, and I liked how the characters developed so very slightly over the 14 minutes – it didn’t feel too much, unnatural or forced. The pacing seemed just right, and the mood fit my temperament very well! This film is only my second film score, and my first in over 15 years – I have been mostly writing chamber music and operatic works for the past decade or so. It was a great experience writing and recording, and working with the Yuichiro on editing the recordings to fit the film. The open, spacious, fragmentary quality of my music precludes a second-by-second scoring, so we recorded many takes quite freely in terms of tempo, always going for the most musical interpretation of timing – the fitting of score to film came later, during the editing. This way of working allowed us to focus on the music as music first, which I think comes through in Ryuta Iwase (clr) and Gaku Yamada’s (gtr) performances. Overall, I really enjoyed it, and I look forward to scoring my next film! 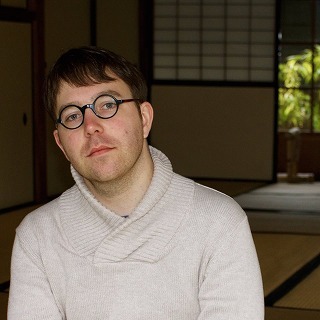 <Brief history> Daryl Jamieson is a composer, sound artist, and researcher based in Kamakura, Japan. Born in 1980 in Halifax, Canada, he first studied at Wilfrid Laurier University, then moved to the UK to study at the Guildhall School of Music and Drama the University of York. He then spent a postdoctoral year in Tokyo, studying composition under Jo Kondo and Nō theatre. Daryl composes for both Japanese and western instruments. His music has been performed across Europe, Japan, and Canada by the Quatuor Bozzini, the Orchestre National de Lorraine, Satoko Inoue, and Ko Ishikawa. As a researcher, his principal interest is in contemporary music and spirituality, and the contemporary Zen philosophy of the Kyoto School. He is a co-founder of music theatre company Atelier Jaku, the mmm... trio, and the composers' collective "Music Without Borders". He is also a member of the "Hogaku 2010" Japanese traditional instrument composers' group. I met the director Nakada at the screenwriting workshop, and even after that I had been watching that he was working very hard without giving up his dream for many years through FB etc. At one point , I heard he would finally direct the short film, and after a while I heard the story that he needed a picture of "fireworks". I heard the pencil was used at the shooting site, though I thought "Fireworks are difficult to draw with pencils! ", I read the script and I realized that what he wanted was not well drawn pictures but something which the father fiercely draws while rubbing his blurry eyes. Yes, as Director, Nakada repeatedly rewrote the scripts over and over, that was the very "fireworks" that he just engrossed in drawing. In that case, I thought that I might be able to help something for the director, Nakada who had been working hard all the time, Having those processes, I joined in his team. 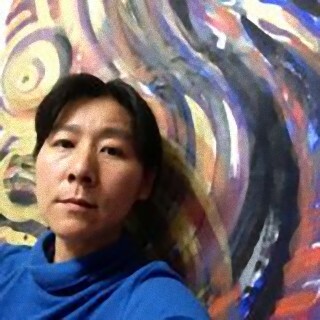 <Brief History> After graduating from Musashino Art University Oil Painting Course, she went through sound engineering and graphic design. Now she works as WEB designer mostly and Illustrator at times. After settling down her childcare, what she calls, the "second stage of life", has begun. She used to write film script, hold art therapy classes, and direct some musicals, but she happened to act and dance as an musical actress in the stage play even though she had worked in the backseat role for long. Now, she tries everything that seemed interesting. She actively involves with various performance arts with her great interest. I provided the location and worked as a scripter because I was linked by fate. Yuichiro is an old friend of mine since we both studied at California. 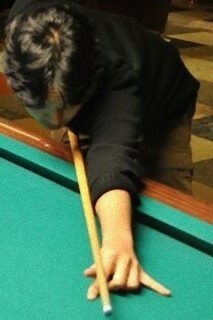 He is rather silent but he has passionate feeling when it comes to working on what he likes. It has been almost ten years, but I have never met anyone like him who have been so persistent with what he believes in despite occasional conflicts, which I envy and admire as the person who belongs to a same generation as him. I am not familiar with movie making at all. 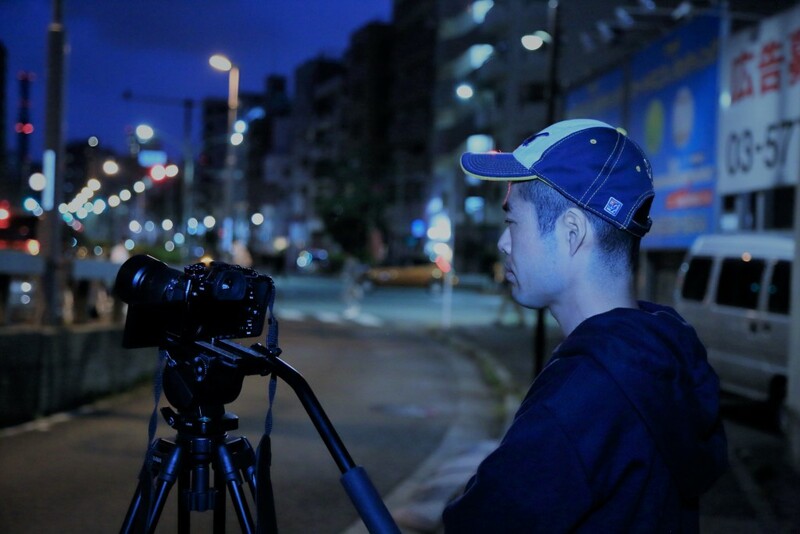 However, having participated in the shooting and watching the final version of the film, I was able to feel that there exists the world where only he can create. I find the possibility in his unique career which gives rise to the perspective and worldwide view. I believe that everyone reading this message can sympathize with his worldview and his character. 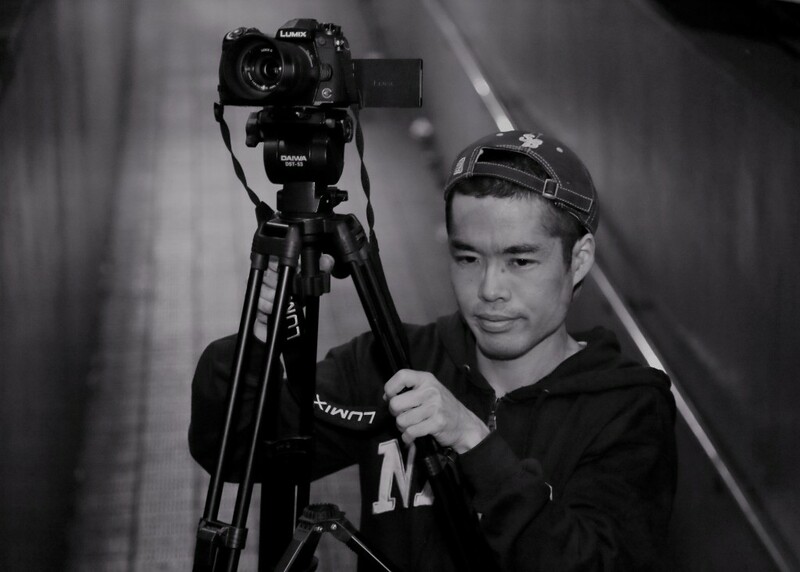 <Brief history> Born in Saitama and raised in Tokyo, After graduating from Kitazono high school, he studied at San Jose state university and obtained computer science degree. Now, he works at Tokyo as software engineer. Please note that this year's items will be different from the one showed on the web page above. The goods won't be something bulky and heavy such as mug and box, and the price will be less than 10 euros. None of the supports is too small for me. Though I have several part time jobs for accumulating more budget for this trip, it is very difficult to cover all the expense for travel and PR by myself for such a short period. Therefore, I need your warm supports for stepping up my career in film industry with experiences and learning obtained in Cannes film festival. I am willing to produce more and more films for you and all the other people as well. Thank you for your supports! · In order to support this project, registering CAMPFIRE account is required. You can check how to register and support for the project from the following URL. · All courses prices are tax and shipping fee included. · Based on the specification of CAMPFIRE, you can purchase multiple courses. However, since simultaneous settlement is not possible, please apply for individual courses each time. · After submitting your application, course change can not be processed. · You can not transfer goods or rights of return to other people. Please acknowledge it beforehand. · All the contacts regarding this project will be sent from the project owner through message on CAMPFIRE. Please check the email as much as possible after support. Q1: Please tell me how to pay for supporting the project. → Credit card payment (VISA / MASTER), convenience store payment (main convenience store nationwide), bank transfer can be used. Q2: What happens if I mistakenly assisted you? → We are sorry, but we do not accept any changes / cancellations / refunds of the selected return. Q3: How can I change the address of return shipping address? → You can change it from "Address" → "Confirm" at "Supported Project" in the user's My page that is located in the upper right of this page. Please use the message function of CAMPFIRE to the project owner for changing the address after project is completed. Please contact us accompanying with your old address and new address. Q4: What should I do if the return is not delivered? → If you do not have changed or mistaken your address or got a reply, we will contact you thorough your registered e-mail address on CAMPFIRE . If there is no reply from you for a certain period of time, products may not be delivered. Q5: Is it possible to support from overseas? → We will contact you to the registered e-mail address on CAMPFIRE after the project is completed. So, please enter your e-mail address that we can check. 祝　米国ヒューストン国際映画祭　レミ賞! Winning the Remiaward of Worldfest - Houston International Film Festival! 祝　インド第3弾　続報　初監督部門第2位！ 3rd Chapter in India continued report 2nd best directorial debut award! Please note that this year's items will be different from the one showed on the web page above, The goods won't be bulky and heavy as mug and box, and the price will be less than 10 euros.